Huh. Not sure how Buddha would feel about people co-opting his peaceful name and beads of spiritual exploration and meditation to make a necklace for whacking an attacker upside the head. But I can kind of see where Phoenix Outdoor is coming from, and it's not a place of total irony. 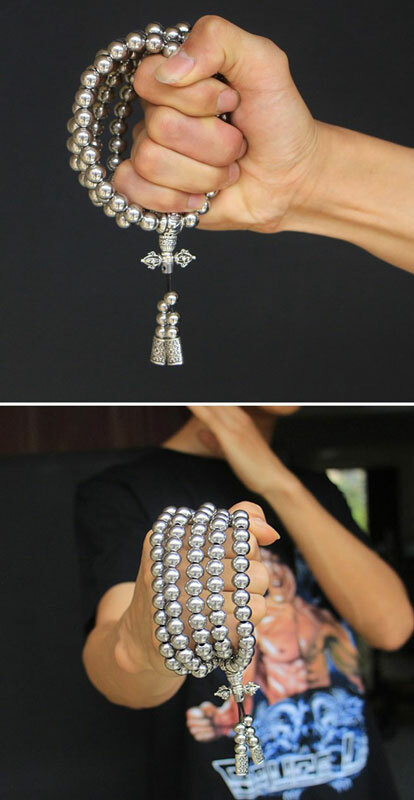 It's more like, if you mess with a dude or lady wearing a set of self defense Buddha Beads, better get ready to enjoy some instant Buddhist karma. 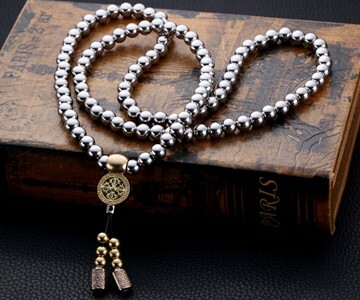 In their weaponized form the Buddha Beads weigh a little over 13 ounces, and extend 41" long. Each of its 108 beads is 0.4" in diameter. Phoenix Outdoor says the necklace can easily break a zip-top can, and is strong enough to deter an invader. 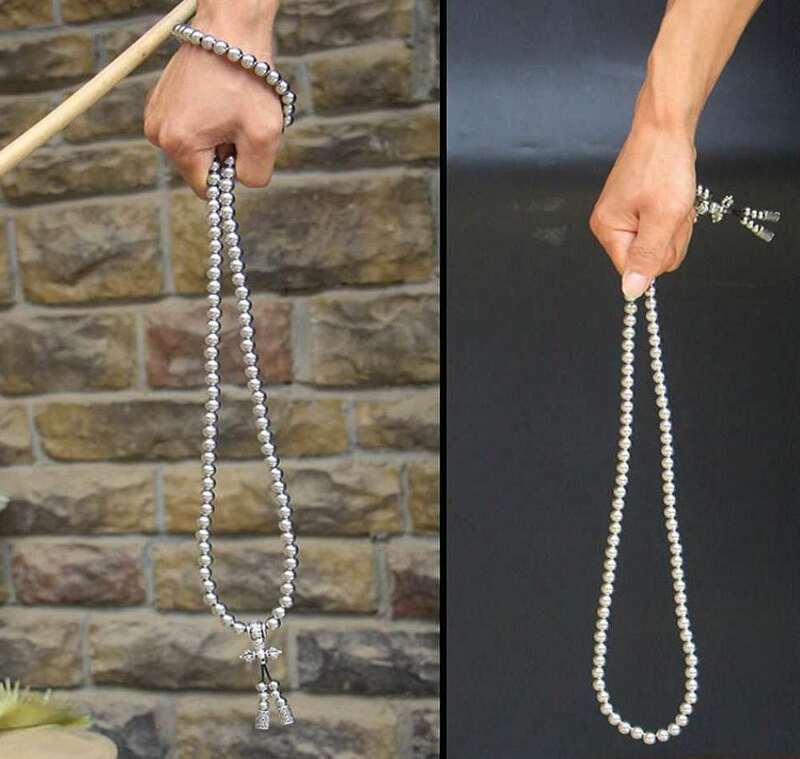 In addition to self defense whip, the Buddha Beads can play the more common role of wardrobe or vehicle accessory. Wear them as a necklace or hand bracelet, or dangle a set from your rearview mirror.